Earth Day is an annual event celebrated on April 22nd. While International Earth Day is celebrated on March 20, Earth day focuses on the environment while International Earth Day focuses on peace around the world. 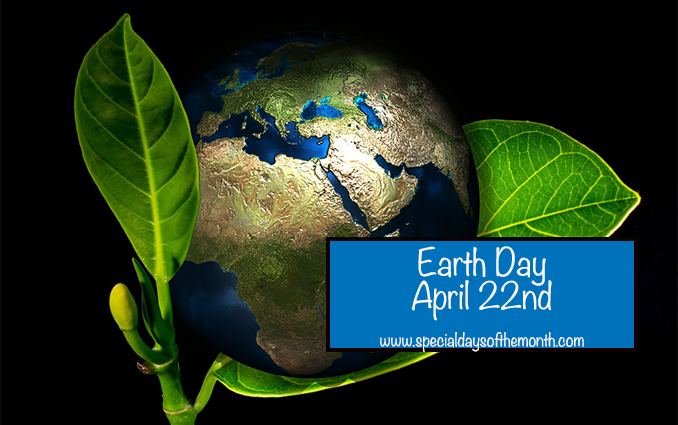 First celebrated in 1970, events in more than 193 countries are now coordinated globally by the Earth Day Network. This day was founded by Gaylord Nelson, then a U.S. Senator from Wisconsin, after witnessing the ravages of the 1969 massive oil spill in Santa Barbara, California. April 22nd. The same day every year. How is Earth Day Celebrated? Check out epa.gov to find local events and tips on what you can do to reduce your environmental footprint. Watch the film “An Inconvenient Truth” about the effects of global climate change. Find a way to be more environmentally conscious – pick up trash in public parks, ditch plastic bags for reusable ones, donate old clothes, use organic fertilizers or plant a tree. Many people will march, sign petitions, or meet with their elected officials. The first celebrations took place in two thousand colleges and universities, roughly ten thousand primary and secondary schools, and hundreds of communities across the country. That first year, the first day the holiday was celebrated led to the creation of the United States Environmental Protection Agency and the passage of the Clean Air, Clean Water, and Endangered Species Acts. In 1995, President Bill Clinton awarded Gaylord Nelson the Presidential Medal of Freedom (the highest civilian honor) for being the founder of Earth Day. According to the Earth Day Network, more than 1 billion people across the globe participate in activities to celebrate the day.